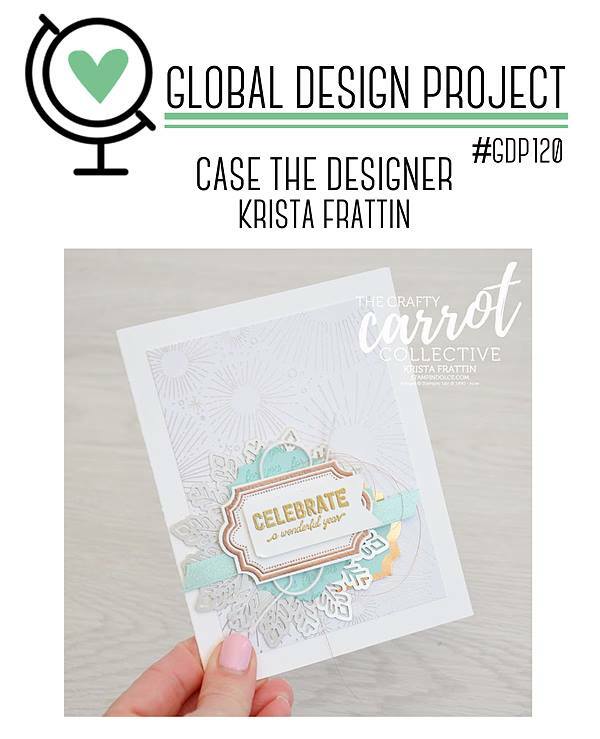 I love it when we get to CASE team designers on the Global Design Project for 'CASE the Designer' challenge. 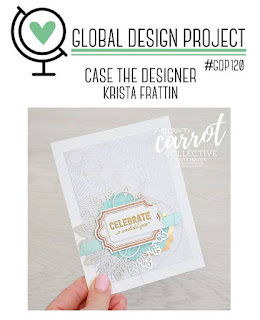 This week we are getting our inspiration from Krista Frattin from Stampin' Dolce. I have always been amazed at Krista's messy/clean style and her ability to use embellishments on her creations so skillfully! The definition of CASE: Copy And Share Everything or as the GDP call it Copy And Selectively Edit! Put simply, we get our inspiration from a particular project or creation. For this challenge we can use ANY element. You might be inspired by the colours, the stamp set or the card layout. I took my inspiration from Krista's layout including a wide border and also added elements of ribbon and a flagged sentiment. I coloured the sweet elephant with Watercolor Pencils and Aqua Painter. Tip: When using the Aqua Painter with the pencils ensure the brush isn't too wet and use a paper towel to take off any excess water. Even though my goal is to create more masculine cards this year, my friend Jo introduced a baby girl into the world three days ago - so that settled it - a baby girl card it is! 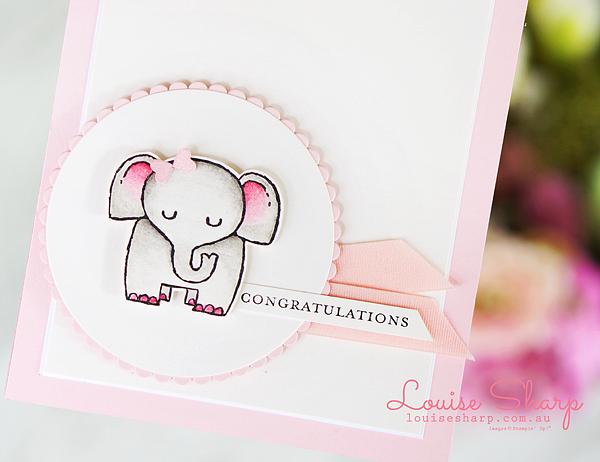 This card using the elephant from the A Little Wild stamp set on page 108 of the Annual Catalogue can easily be turned into a baby boy card too. Another idea is use the lion or bear from the same set and make a collection of cards - I'm just filled with ideas! 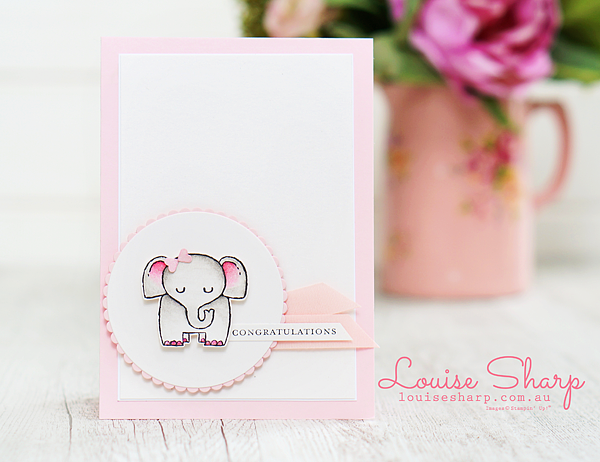 Gorgeous card as always Lou...did you colour with ink and aqua brush, or pencils? Or blends?! Gorgeous, soft and sweet. I love everything about this adorable project! You are amazing! What a lovely coloring, nice work Louise, love it!